Is Jing free to download and install? One of the reasons why this software is popular is due to the fact that there is no charge for a download. It can therefore represent a cost-effective alternative to other paid subscriptions. Can I download Jing to multiple computers? As this software is often used within corporate environments, it can be downloaded to any number of individual computers. However, please note that each user will have to register for an account before the downloads are able to take place. How do I capture screen elements with Jing? The easiest way to accomplish this is to utilise the built-in "cross-hairs" function. Simply hover the cross-hairs over the target area in order to capture an image or a portion of a page. It is also possible to select between a static image and a video recording. Will images retain their resolution when I share them through Jing? In the majority of cases, you will not experience any type of image degradation when capturing a screen element with Jing. There may still be times when a UHD photo may lose a bit of its initial resolution or take longer to upload. How much memory will Jing require? The total file size of this product is only 8.59 megabytes. Even users with little memory should not experience any issues in terms of performance power. Is there a version of Jing available for Mac users? Another benefit of this program is there is currently a variant available for Mac users. Those who were unable to find variants of SnagIt! and other tools should therefore consider Jing as a worthwhile alternative. The Mac bundle can be found within their official website. Can Jing be used with smartphones? At the time that this article was written, there was no version of this program available for smartphone users. 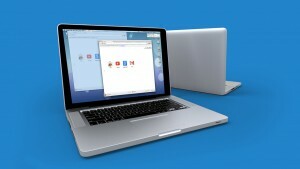 It is only intended to work with desktops and Mac-powered devices. It is not known whether or not developers plan on releasing a variant for mobile devices in the future. Do I need to be logged into screencast.com to share images with Jing? In order to share images with other users, it is first necessary to be registered and logged into the Screencast website. However, there is no charge and the process itself will take only a handful of minutes to complete. Users can also share images with friends thanks to the addition of a new Facebook tool. Can I edit images with Jing software? While this program is not as advanced as more in-depth systems such as Adobe Photoshop, there are some limited editing capabilities provided to the user. The addition of text or graphical arrows is possible and colours are able to be adjusted with the click of a button. Is Jing safe to download onto my computer? This program has been developed by Techsmith; one of the leaders in the industry of software to produce screen captures. It is regularly tested for any malicious elements such as spyware or viruses.